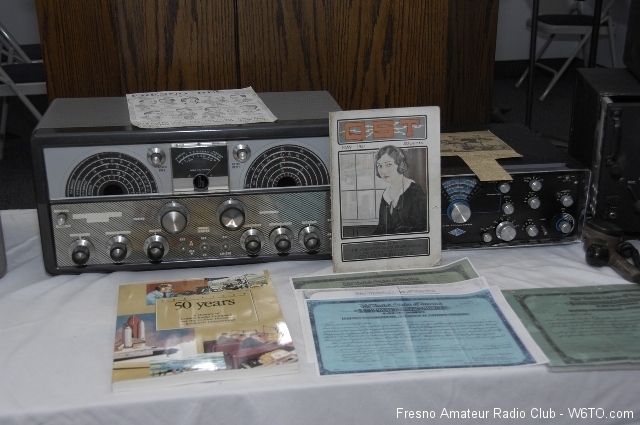 The Fresno Amateur Radio Club was originally founded in the early days of Amateur Radio as the San Joaquin Valley Radio Club and affiliated with the ARRL on April 5, 1934. Which makes us the oldest ARRL Affiliated Club in the San Joaquin Valley Section. The club was incorporated in 1957 and the name was then changed to The Fresno Amateur Radio Club (FARC). Today the club boasts a membership of greater than 100 amateur radio operators and enthusiasts from the Central Valley of California. FARC has monthly meetings, an annual Picnic and Christmas dinner as well as participating in ARRL Field Day and presenting the annual Fresno Hamfest. FARC’s membership is made of a diversity of ham radio operators. From Technicians to Extra Class, there is a place for everyone. Amongst our members we have HF, UHF, VHF, Microwave, Contesters, Satellite, Moon-Bounce, CW, Voice and digital operators. Thank you for dropping by the W6TO.com website of the Fresno Amateur Radio Club. Fresno Amateur Radio Club - Copyright 2019 - Webmaster - 51 Database Queries in 0.317 Seconds.